Professor Ruehsen is an award-winning instructor, who has given guest lectures throughout the U.S. and overseas. She received three graduate degrees from Johns Hopkins University (MHS, MA, PhD) and then spent a post-doctoral year in 1993 at the University of California, Berkeley. An economist by training and a certified anti-money laundering specialist (CAMS), and certified financial crime specialist (CFCS), for the past seventeen years she has been teaching courses on international economics, financial crime, counter-terrorism financing and asset recovery. Dr. Ruehsen’s regional expertise is the Middle East, where she spent a year as a Fulbright Scholar in Bahrain. She has also studied at Yarmouk University in Jordan. 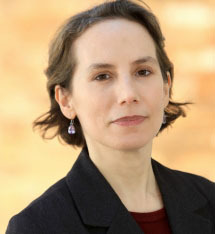 Her current research focuses on trade-based money laundering, proliferation financing, and sanctions. Professor Ruehsen has published in a variety of academic journals and professional periodicals. She was a long time contributor to Money Laundering Alert, and also served as a consultant to governments and the private sector.